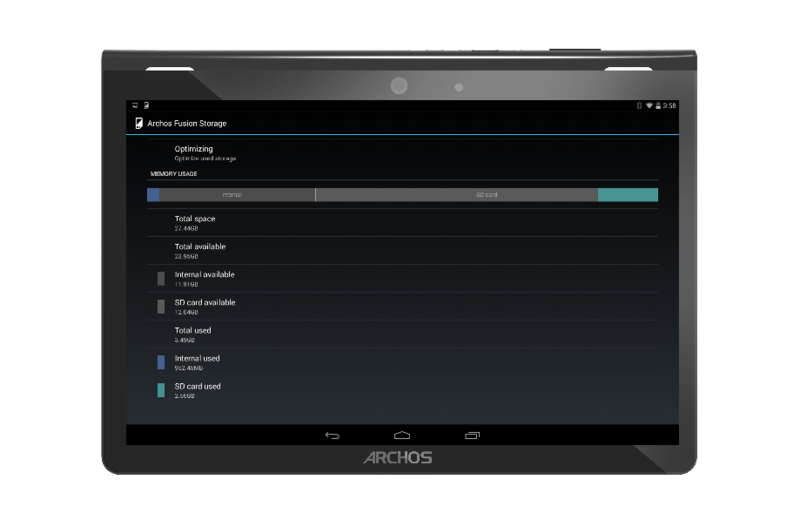 Some months ago we mentioned Archos were designing a new range of tablet that could combine various storage solutions in one larger resource, all under Android. Meaning that a 16gb model became a 80gb model if a 64gb SDcard was added. Pretty fantastic solution to a problem that has more than likely annoyed who has a low storage phone or tablet. Archos have pioneered the technology and it is rolling out to a few of their devices over the next few days. We will host a video showing our experiences this week. 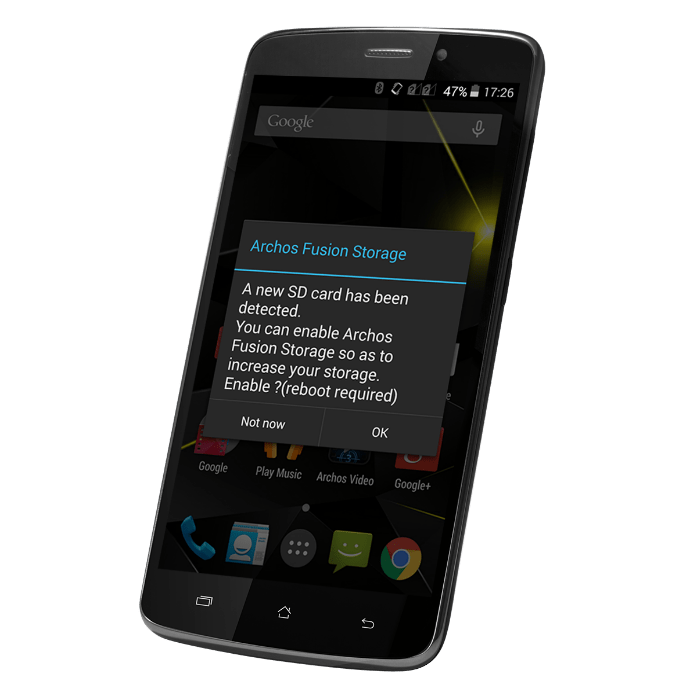 Archos Fusion Storage, a software innovation, recently unveiled by the French brand at MWC 2015, will be available via update (OTA) from May the 5th, 2015 on the Archos 101 Oxygen, Archos 50 Diamond, Archos 52 Platinum, and the Archos 50 Oxygen Plus. It merges the internal memory capacity of the equipment itself with that of the Micro SD card in order for users to enjoy more applications or content. With over 25 years of experience in software development, especially on the Android platform, the R&D team of Archos worked on the lower layers of the operating system from Google and its Kernel core. It thus provides a much-needed storage option for users of Android tablets or smartphones. This feature automatically reconciles the memory allocation problem between the internal storage and microSD card while providing increased capacity. The main advantage for the user is that significant space is gained to hold more applications and content. Upon activation of the merged storage, data is automatically accommodated in the internal memory of the tablet or smartphone and is then sorted. The application files will be sent primarily to the internal memory of the tablet or smartphone, while data, photos, videos, and more will be directed to the memory card. The space of the device is thereby increased and optimized considerably. Another advantage is a reversibility of the process. The fusion of internal storage with the external storage SD card is seamless: the user can choose to return to the original separated settings at any time.